Here at Business and Industry Today, we pride ourselves on promoting organisations of the highest calibre operating within a cross section of markets in order to bring to our readers’ attention a quality range of professional services and products. We are subsequently delighted to present Aurelius Environmental as our duly deserved Waste Management Specialist of the Month with a dedicated company profile detailing the enterprise’s successes, innovations and future plans. This visionary brand focuses its activity on lead acid battery recycling and waste services, working amidst the environmental management & material reprocessing segments to aid sustainability and economic security in local and wider communities. The contemporary company was officially established in July 2014 but it didn’t begin trading until March 2015 – during this time they restricted trade activity because they were waiting for permits and licenses, so in essence, their first full trading year started in 2016. Based in Tipton in Dudley, Aurelius Environmental is a process and service business that has four deep-rooted corporate values: pride, passion, perfection and profiteering (for collective success). With this focused philosophy – and a unique approach to waste management – the workforce have attracted an ever-growing customer base comprising the likes of industrial companies, distribution hubs and organisations operating with fleets of vehicles. The services available can be utilised by any organisation producing lead acid battery waste at any given time (in various quantities). This can be generated from different types of equipment; commonplace examples include electric pallet trucks, forklifts/stackers, mobile lifting booms and company lorries, vans and cars. 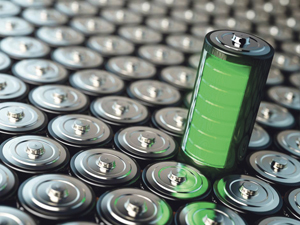 Regardless of the amount or type in question, Aurelius Environmental is well-placed to collect the scrap batteries and can do so on either a contractual or spot price basis. The particular strategy employed has been considered one of the most revolutionary battery recycling means accessible on the market. The green recycling process was developed in collaboration with Cambridge University and is quite distinct to other market solutions; formats which involve melting the batteries down in their entirety in a ‘hot process.’ Aurelius Environmental is different in the respect that its technology takes a large proportion of the battery and treats it with chemicals in a cleaner and much more efficient practice. The result is a nanomolecular ‘leady’-Lead Oxide battery paste ready for battery production that has been meticulously tested and proven to make batteries last some 50% longer (as well as offering an increase in energy output – 30%, to be precise). The environmental aspect is a core advantage of this solution; the technology has one tenth of the carbon footprint of systems currently used for battery scrap processing and the capital cost of the plant is reduced by 85%. Enhancing the environmental outcomes it also has virtually zero emissions associated with the process. The innovation centres on an ambient temperature hydrometallurgical process which acts as a more energy-effective replacement to those used in pyrometallurgy. 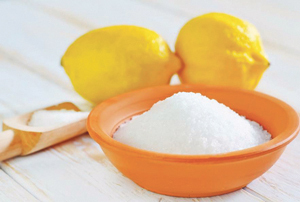 This comprises several steps (leaching, crystallisation, combustion/calcination and lead-oxide recovery) which, once set in motion, make a great impact on small scale businesses and contributes positively to sustainability on a global measure. 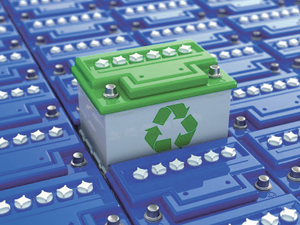 Recycle your materials and give your lead acid batteries a new lease of market life by joining forces with this reputable and nationally operating waste management expert. 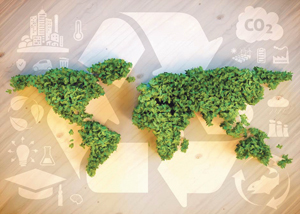 If you are interested in improving your sustainability by incorporating an effective and legally compliant recycling regime, whether as a one off or on a continual cycle, get in touch with Aurelius Environmental to enquire about the opportunities available to you. Any questions posed by email or telephone will be met with an appropriate response by a well-informed and amicable company representative. This entry was posted in Company of the Month, News and tagged Environment, Waste Management. Bookmark the permalink.